Fiona’s interest in non-Latin type design and typography arose from her post-graduate studies in Sanskrit and Indian Palaeography. In 1978 she joined Linotype-Paul Limited, following in the footsteps of Walter Tracy, where, as the company’s first female manager, she became responsible for the design of Linotype’s non-Latin fonts and typesetting schemes, notably those using Arabic, Indian, and Thai scripts. There Fiona developed with Mike Fellows the Phonetic Keyboard for Indian scripts, which was adopted by the principal Indian newspaper publishers in the 1980s, thus paving the way for Desktop publishing in the Indian sub-Continent. Also, in collaboration with Tim Holloway, they developed Linotype’s patented Nasta’liq system and fonts. During this period Fiona travelled extensively in South Asia for research purposes, troubleshooting, lecturing and teaching non-Latin type design. Since 1989 Fiona has worked as a consultant for clients that include Adobe, Apple Computers, Bitstream, Dalton Maag, Linotype GmbH, Monotype Imaging, Open University, and Quark. Since her first design collaboration with Tim Holloway on the now ubiquitous ‘Linotype Bengali’, Fiona’s typeface designs for Linotype went on to range over 12 Indian scripts:these include ‘Rohini’ (Devanagari script) with Georgina Surman, ‘Manorama’ (Malayalam script) and ‘Araliya’ (Sinhala script) with Georgina Surman and Donna Yandle. More recently, as an associate designer of Tiro Typeworks, she has enjoyed working with John Hudson and Tim Holloway on a number of type design projects including ‘Adobe Arabic’ (TDC award 2006), ‘Adobe Thai’ and, for Dalton Maag, ‘Vodafone Hindi’ (TDC award 2008) Fiona is also a lecturer (part-time) in the Department of Typography & Graphic Communication at the University of Reading, teaching non-Latin typeface design on the MA Typeface Design course as well as research methodology and academic writing skills to postgraduates in the Department. She is the author of The Printed Bengali Character and its Evolution (Richmond, 1999) and numerous articles on non-Latin type design and typography, and has recently co-curated two exhibitions. 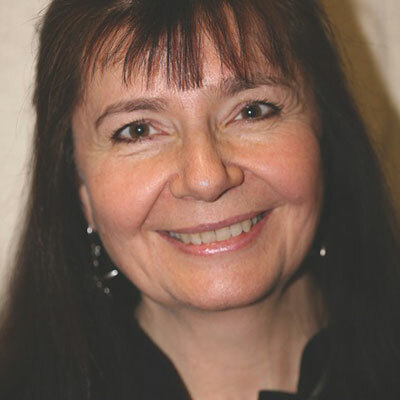 Fiona Ross holds a BA in German, a PgDip in Sanskrit and Pali, and a PhD in Indian Palaeography from SOAS (School of Oriental and African Studies: University of London). She is a board member of ATypI (Association Typographique Internationale) and a Fellow of the Royal Society of Arts.